Ladygouldian.com has a Special Offer for you. I KNEW THAT IF MY "SUPER-HEALTH" PROUCTS WERE SUCCESSFUL WITH THE MOST FRAGILE MEMBERS OF THE FINCH FAMILY, THE CANARIES AND GOULDIANS, THEN THEY WOULD BE EXTREMELY USEFUL FOR ALL SEED-EATING BIRDS. 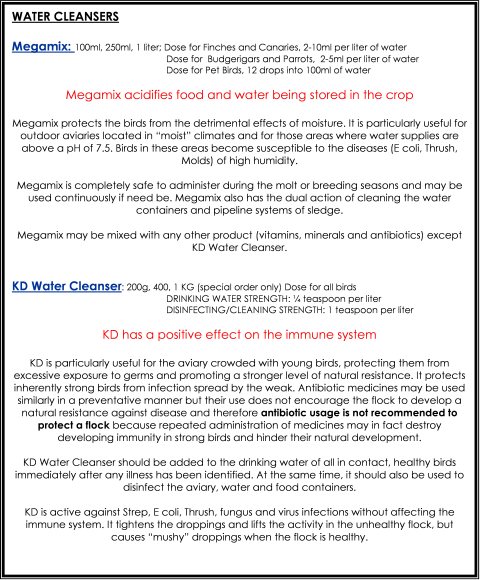 I used the canary and mutation Gouldian finch to test the effectiveness of my "Super-Health" product range, because both of these birds are highly susceptible to disease. The canary and finch birds are special in the bird kingdom because their bowel is totally free of all bacteria in the healthy state. This means that when their diet is not perfect and their cage or aviary is not perfectly dry and clean, they become ill. 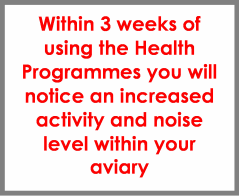 The Health Programmes promote good health and vitality throughout the entire year, especially during breeding, molting and with the juveniles. 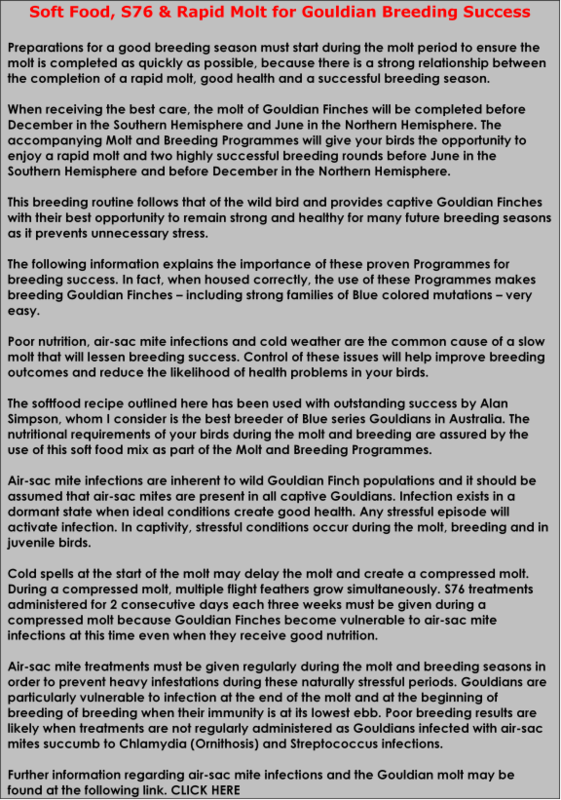 There are more health problems during the breeding season than at any other time and ultimately your success at breeding depends largely upon the health of your flock. 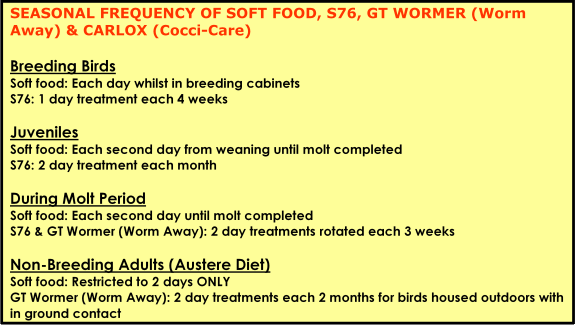 The most common causes of health problems in the breeding room or aviary are poor nutrition, poor food hygiene and unclean aviary conditions. 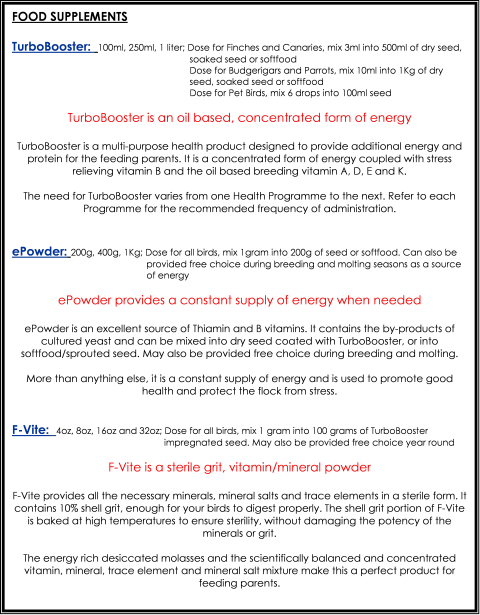 The Health Programmes ensure that every nutritional and hygiene requirement in your breeding aviary is met. 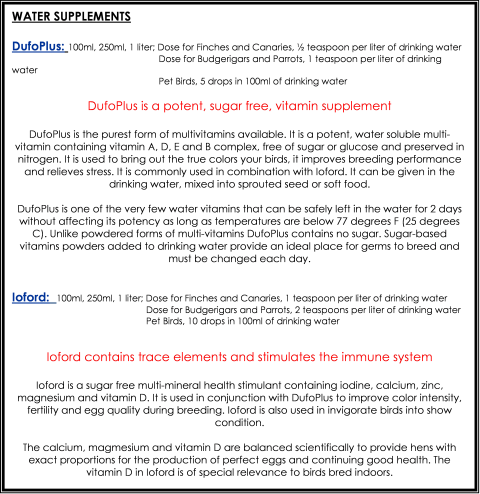 The water (DufoPlus & Ioford and feed (TurboBooster, ePowder and F-Vite) supplements provide the correct balance of nutrition needed to produce robust babies and to promote health in the feeding adults, whereas the water cleansers (KD and Megamix) keeps the germ count in the birds and aviary as low as possible. "...Because I am an engineer, I thought it might be interesting to test avian supplements using a technique known as a GC/MS - Gas Chromatograph and Mass Spectrometer. This device can be used to isolate any and all known compounds in a substance. One of the more common uses of Gas Spectroscopy is to help patients in the emergency room, that appear to be suffering a chemical toxicity. Although I will not state which brands were evaluated, the only one that truly contained the listed ingredients in the quantities specified were the ones developed by Dr. Marshall. Dr Marshall's Ioford and Dufoplus products contained exactly what was indicated – in the proper proportions. From an engineer's standpoint, a GC/MS -Spectrometer/Chromatograph is THE defining method by which supplements need to be evaluated. I was surprised that the other products failed the test and relieved to learn that at least one, Dr. Marshal, truly was putting his money where his mouth was. I have the proof to support it! 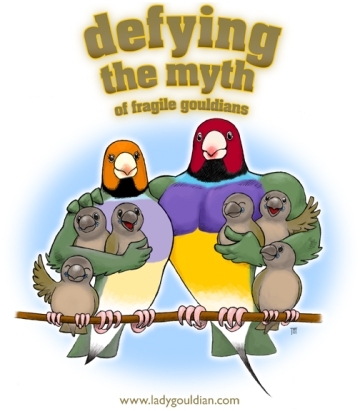 The changes in overall health and feather in my Gouldians were nothing short of remarkable. I would urge anyone who may have had less than positive experience with avian supplements to try again - this time with a quality product. I am so pleased to learn that there is one more person in the world (Dr Marshall) who values his integrity and has furthered the study of proper nutrition in caged birds." 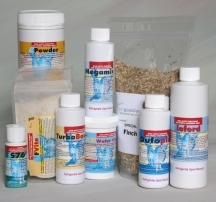 Read Mark's experience with avian supplements.